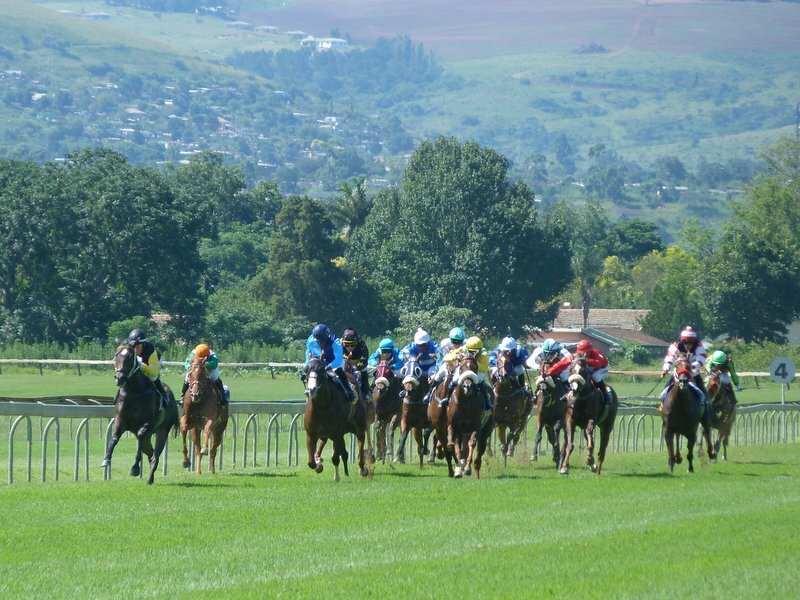 Scottsville Horse Racing, Sunday 29th March 2015, noon. 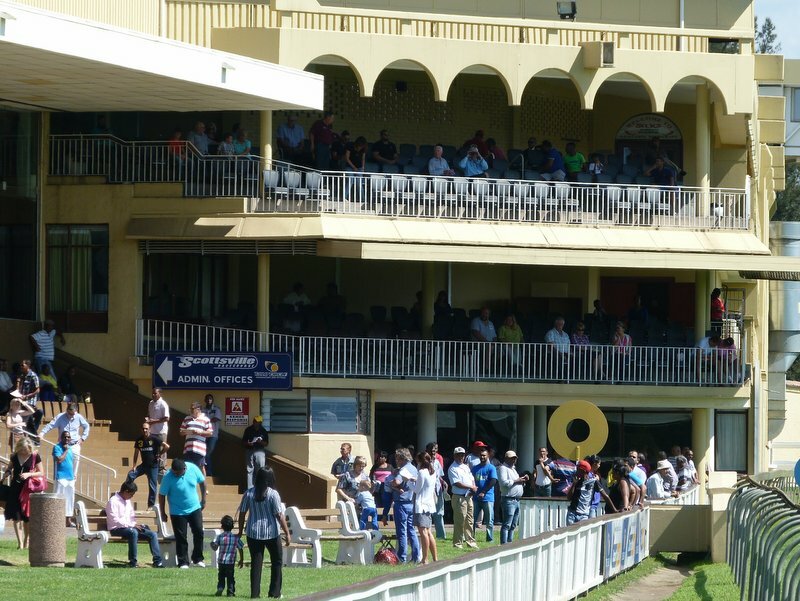 One of the reasons for heading over to Kwa-Zulu Natal for the weekend was it gave me a chance to see another of the South African racecourses. There’s only eight of them these days as both Arlington and Clairwood Park look as if they’ve closed down. Of the eight remaining tracks, Scottsville was the fifth of them that we’ve visited. As is usual, if it isn’t one of the big meetings, admission and parking was free. We parked up about half a furlong out from the winning post and made our way towards the grandstand. I find it hard to separate in my memory most of the racecourses that we’ve been to out here as they all seem very similar. 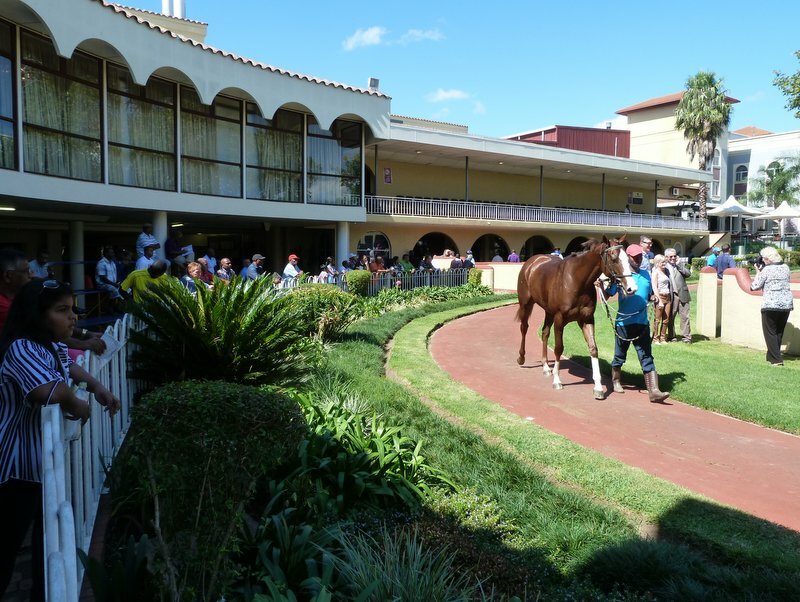 It’s not like the UK where, in the main, the racecourses all have distinct features and character. Here it’s generally one big stand with just different levels of poshness in the viewing areas. Another common feature is a restaurant with a buffet and as is becoming our regular practice we spent most of the afternoon in there. I reckon that a table in a restaurant is the way to watch the racing over here. 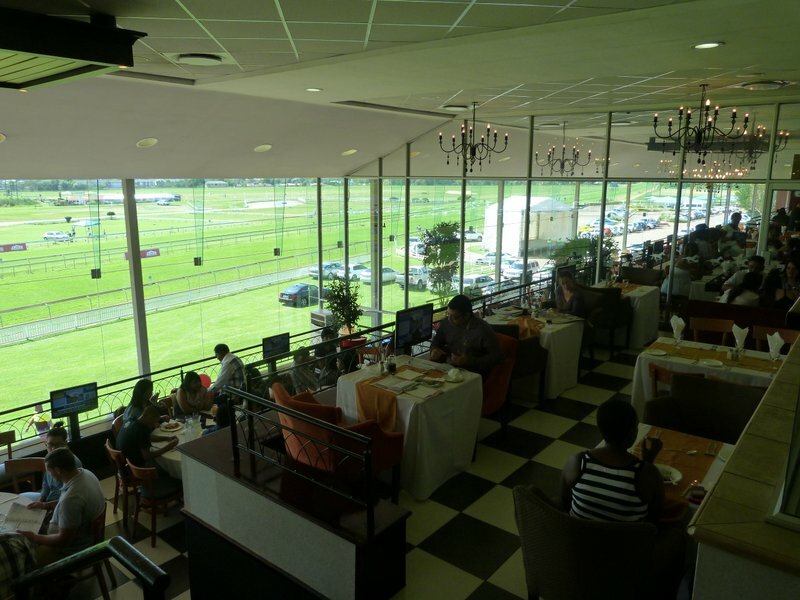 I’ll nip outside every now and then to see the horses parading or hammering up the home straight, but the rest of the time I’m content to eat, drink and look out of the window, whilst a waitress takes our bets at the table on both the live racing outside and the racing from elsewhere on the telly. The buffet was less than a tenner a head which seemed particularly cheap when I realised it included soft drinks as well. 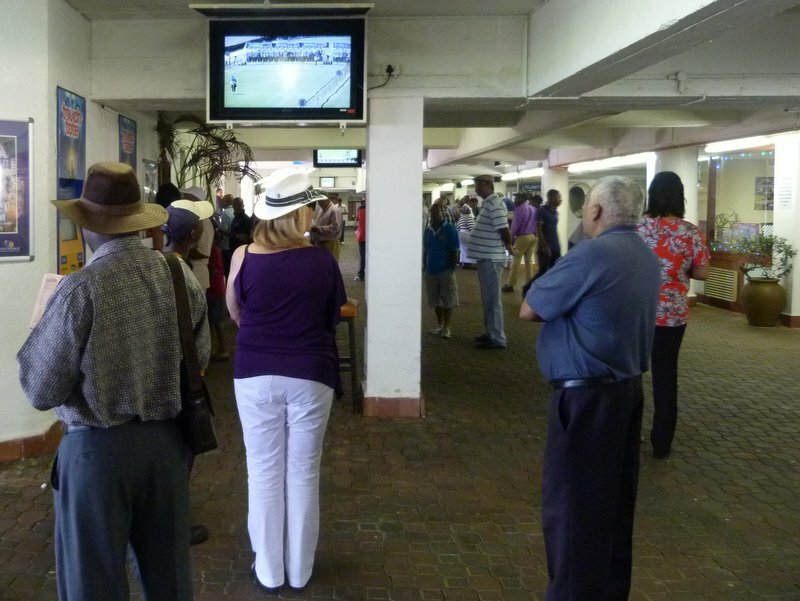 As for the betting, well, we had just one winner all afternoon but with it being returned at fifteen to one we left a few rand ahead.